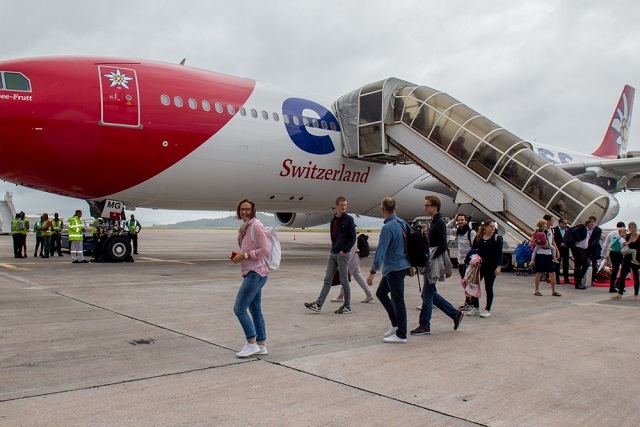 (Seychelles News Agency) - Seychelles gained a new foothold in the European tourism market on Sunday as Edelweiss Air began a new direct route between Switzerland and the island nation. The airline is the third delivering direct services between Europe and Seychelles – a 115-island archipelago in the western Indian Ocean. 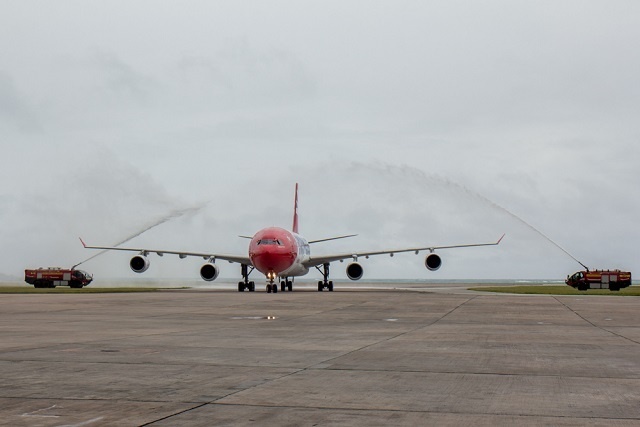 Edelweiss’ inaugural flight to Seychelles touched down with almost 300 passengers onboard. “It is very important for the tourism industry to have regular year-round direct services to our main source markets in Europe. We also want to have direct flights rather than having flights with stopovers,” said Loustau-Lalanne, currently the Minister of Finance, Trade, Investment and Economic Planning. He said that the local tourism industry will now “have the potential of getting an additional 7,000 or 8,000 new Swiss visitors to Seychelles” with the operation of Edelweiss Air to the island nation. “Swiss visitors are good spenders and it is something that we welcome in the economy of Seychelles,” he added. Switzerland and Seychelles are two small states that share tourism as a main economic industry. Last year, 12,422 Swiss visitors came to Seychelles, making Switzerland one of the top ten tourism markets for the island nation. Edelweiss Air is a Swiss leisure airline wholly owned by Swiss International Air Lines and thus part of the Lufthansa Group. It operates flights to European and intercontinental destinations from its base at Zürich Airport and flies to over 70 destinations in 34 countries around the world. Zürich is the largest city in Switzerland which is also the global centre for banking and finance. The airline’s chief executive, Bernd Bauer said that Seychelles was always on the list when the Edelweiss was looking at opening other routes. He added that though the market is a small one, the company has chosen a sensible approach to make the venture possible. “We will start off with one weekly flight. The aircraft stays on the ground during the day after landing and the same crew operates the aircraft back to Switzerland in the evening,” said Bauer. He said that the company is expecting to bring around 13,000 tourists to Seychelles per year, with 60 percent of that total being Swiss citizens. The Consul of the Swiss Embassy for Madagascar, Comoros, and Seychelles, Sabine Jenkins, said that a lot of Swiss nationals choose to get married and spend their honeymoon in Seychelles. “The new service offered by Edelweiss makes it easier to visit Seychelles and there is no doubt that the number of arrivals will increase tremendously. I hope that the new direct air service to Zürich will encourage Seychellois to visit Switzerland,” said Jenkins. The nine-hour direct flight by Edelweiss Air will land in Seychelles every Sunday at 6 a.m. local time and leave at 10.25 p.m. the same day.